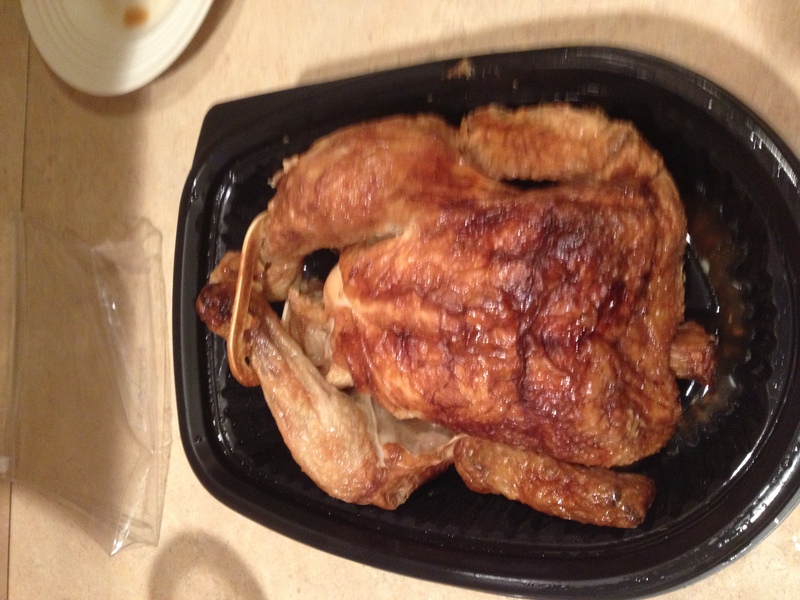 Rotisserie Chicken can be found at most groceries stores and is an easy way to have a hot meal for dinner with little to no effort. 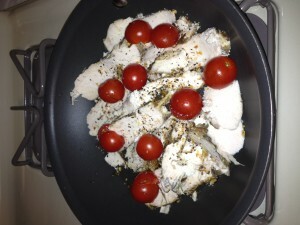 Spray frying pan with non-stick cooking spray. If using butter put 1 TBS of butter in the pan. Set burner to medium heat. 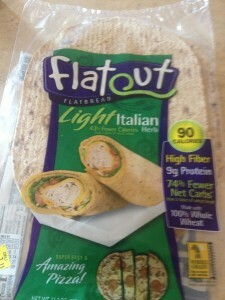 Add flat out or fold it. Leave for 2-3 minutes. 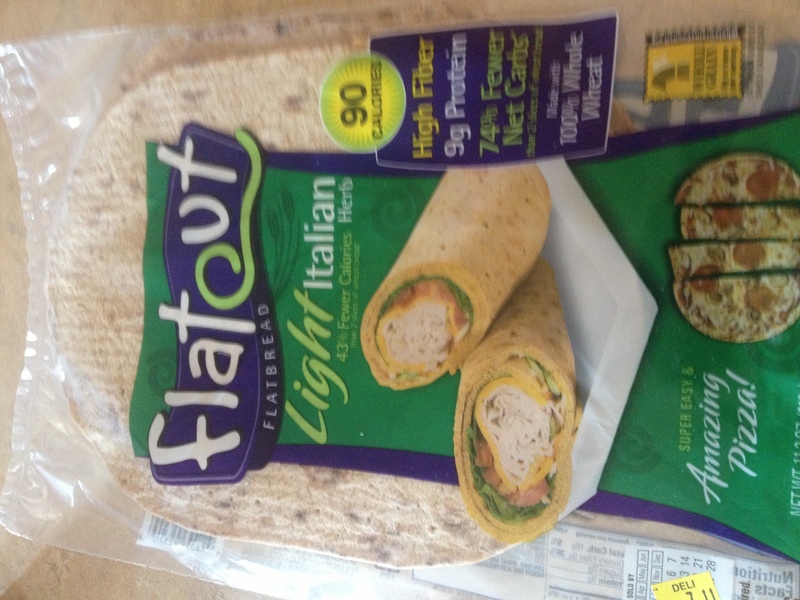 Flip flat out. Slice chicken into thin strips and add to fold it. 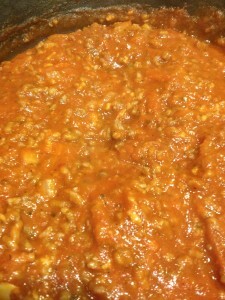 Top with shredded mozzarella and 2-3 TBS of spaghetti sauce. Let cook and toast open faced for 2 minutes. Fold over making a paninini and leave for another 2 minutes. Remove and done. 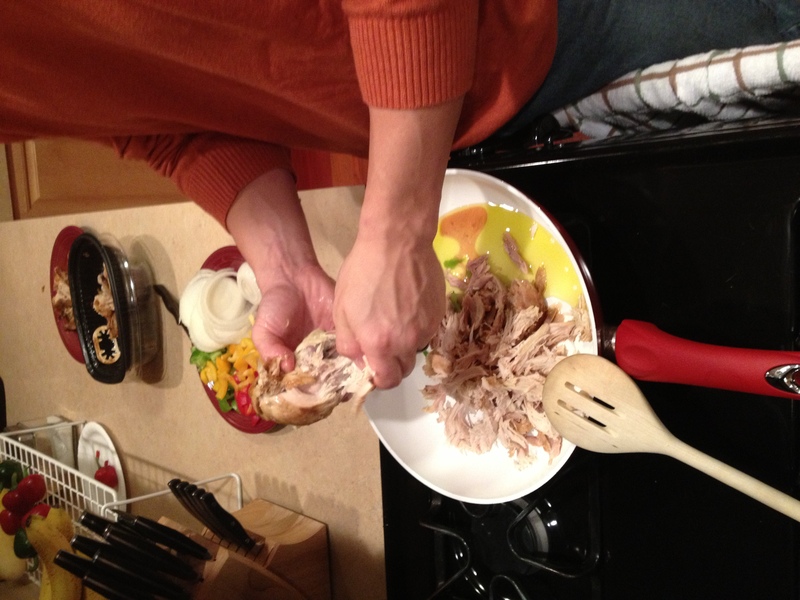 Carve a fist size serving of the Chicken Breast. 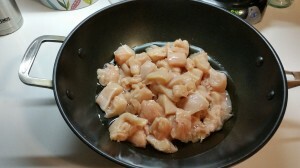 Place strips of chicken in the Flat Out or Fold It. Drizzle with ranch dressing. 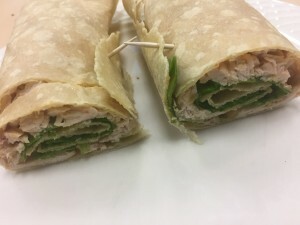 Add spinach or any other fresh vegetable and roll into a wrap. Eat by Color nutrition is not a diet and teaches interested members how to make better food choices. 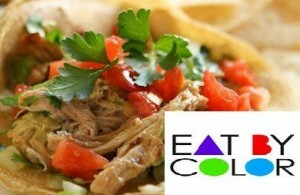 There is no counting calories, points, macros or anything else with Eat by Color. Get your copy of Eat by Color on Amazon Today! Ray Binkowski is the Owner of Fitworkz, DeKalb, a 24 hour hybrid fitness training center, author of several fitness and health books and the producer and host of the OCB Midwest States bodybuilding and fitness competition. Most importantly to us, he is an expert on functional fitness that has consulted military, law enforcement, tactical entities, professional athletes and people from all walks of life to optimizing their physical readiness and capabilities. He holds a Bachelor of Science in Mechanical Engineering from Northern Illinois University and various fitness certifications. He is also a husband, father and loyal dog owner who does not appreciate clowns. 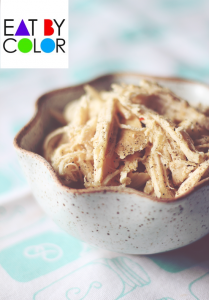 Get MORE Eat by Color Recipes Here! 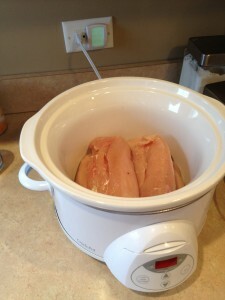 Eat by Color Pepperoni Chicken in a Crock Pot or Slow Cooker is a great recipe that you can prep and freeze in advance. 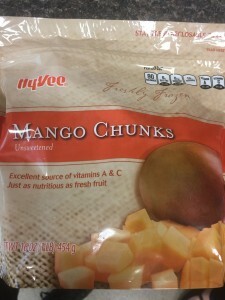 Simply pull out of the freezer, let thaw and put in the crock pot. 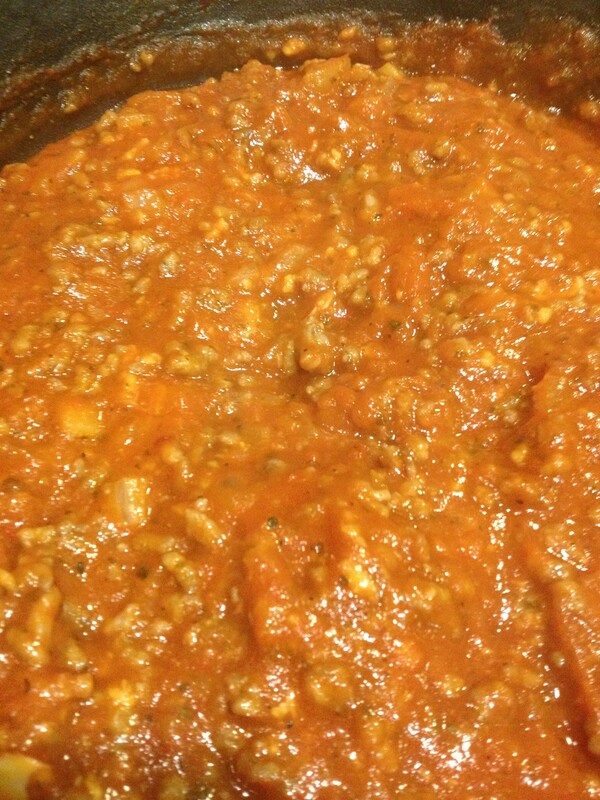 Place chicken broth, tomato paste and Italian seasoning into a quart-size bag. Place olives and pepperonis into a quart-size bag. Place cheese into a snack-size bag. 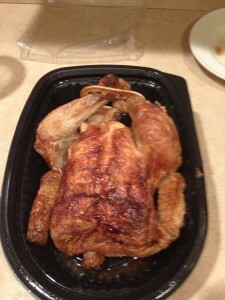 Place chicken into a gallon-size bag. 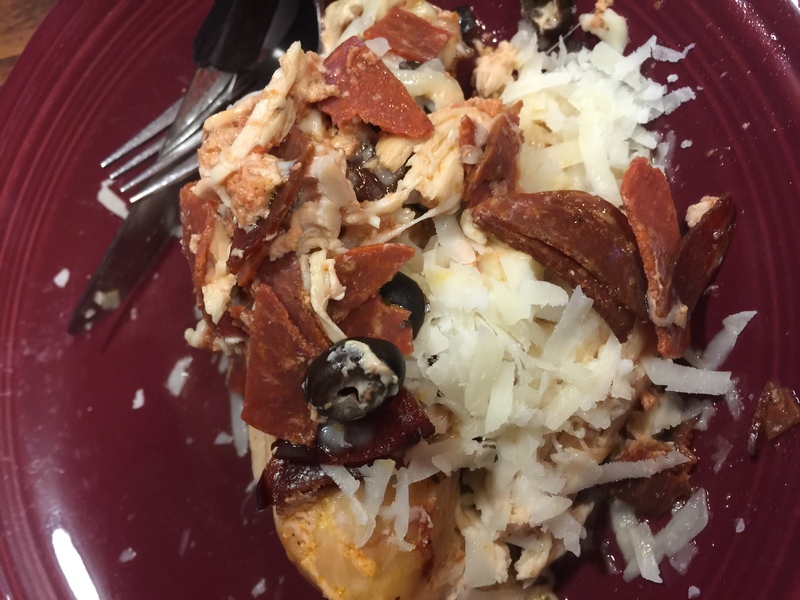 Place pepperoni and black olives on top of chicken. 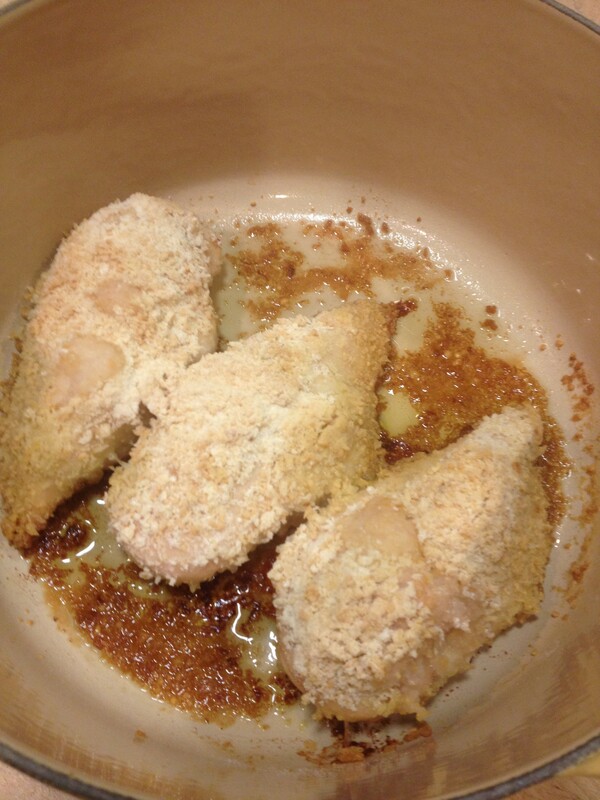 Cut corner off of sauce bag and squeeze evenly over chicken. Cook on low for 6 – 7 hours or on high for 3 – 3 1/2 hours. 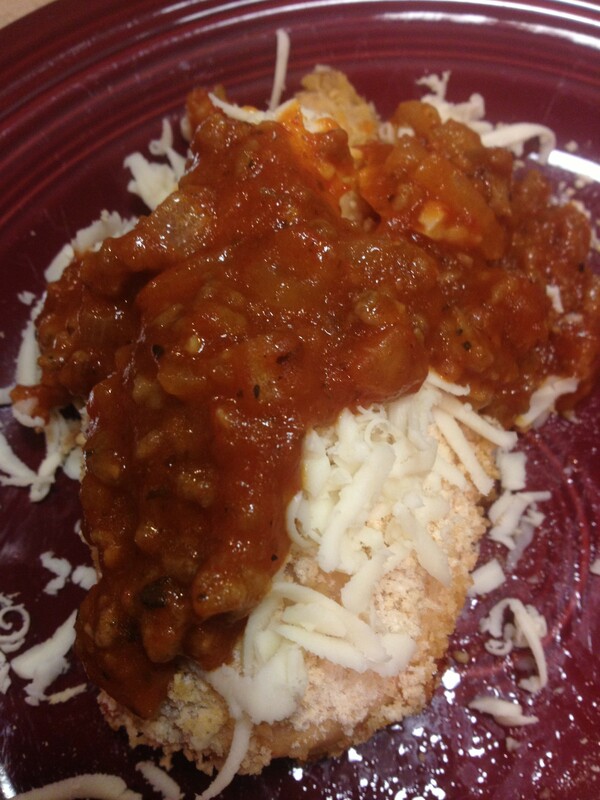 10 minutes before serving, sprinkle cheese on top of chicken; cover and allow to melt. 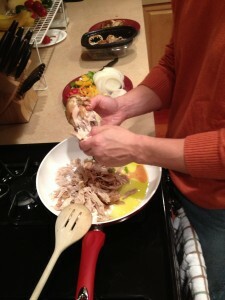 Using a slotted spoon, transfer chicken to plates and discard remaining liquid. 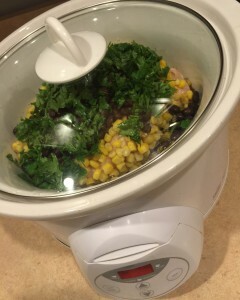 Eat by Color Cilantro Lime Crock Pot or Slow Cook Chicken is a great meal that you can prep in advance and cook later. 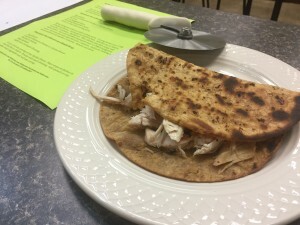 It is great in tacos or as a meal with a couple of your favorite sides. The best part is that this meal can be prepped in advanced and frozen to be cooked later. This means that on the busies of days you can have a fresh warm meal waiting for you and your family when you get home from the busy day. 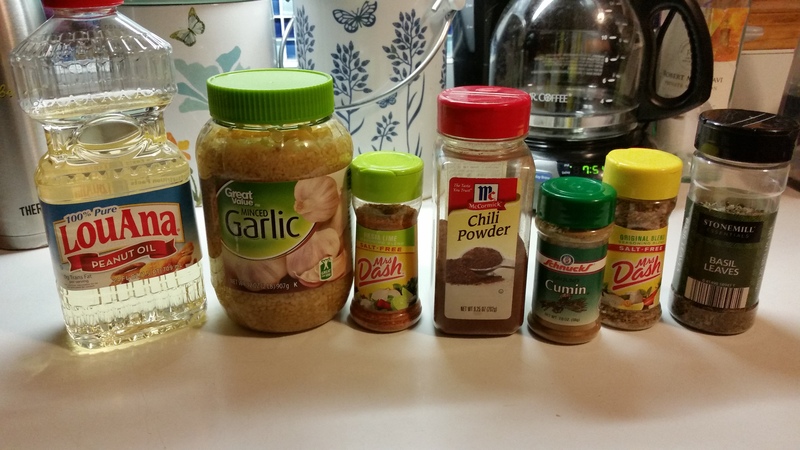 Place all ingredients into a gallon-size bag. Place contents of bag into a slow cooker. May serve with tortillas and favorite toppings. Ray Binkowski is the owner of FitWorkz a hybrid training gym in DeKalb, IL, author (all of his titles are on Amazon), and trainer. He has lost over 60 pounds and kept it off for over 15 years. He has worked with thousands including professional athletes, police/fire/military, physique competitors, even corporations like 3M, and most often people looking to make a long term change in health, wellness, and weightloss. Plus the Get Fit and Live Healthy podcast FREE on Itunes (just search Get Fit and Live Healthy on Itunes). On Amazon search for Eat by Color, Get Fit and Live Healthy, and Exercise Galore! Wash everything. 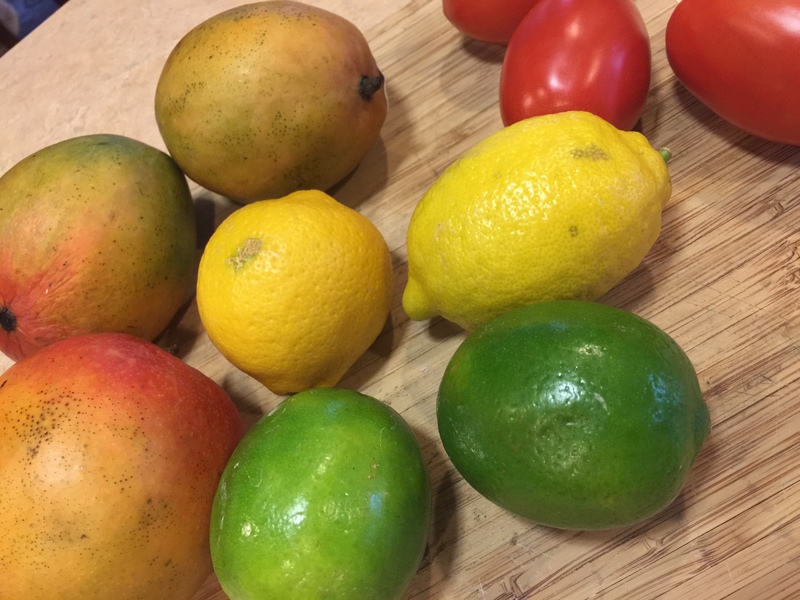 Dice the mangos and tomatoes. Chop the cilantro. Quarter each the lemon and lime. Combine everything in a large bowl and squeeze juice from lemons and limes. Let sit over night in the refrigerator. Use a topping on chicken or fish tacos. Can also be used with tortilla chips in place of regular salsa. 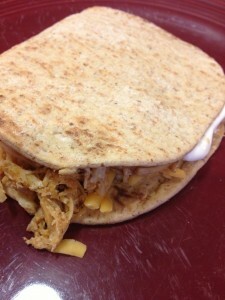 Cheesy Chicken and Rice Recipe, Eat by Color is one of our favorite recipes. A successful week of eating means food prep is a must! 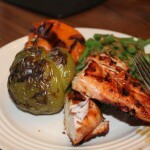 Planning and prepping meals is cost effective and has the biggest impact on whether or not you stay on track. 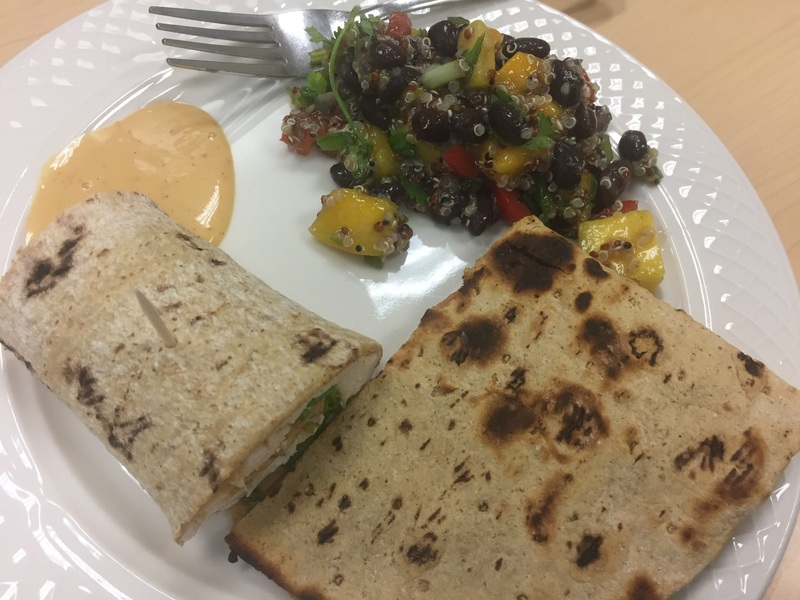 No matter how busy, crazy kids schedules, mandatory overtime or whatever… Food prep is the secret sauce to not blowing your nutrition. So what is in the puc? 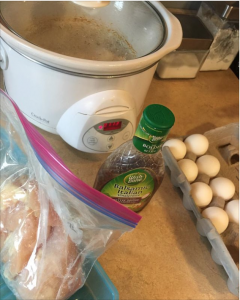 Crock pot cheesy chicken andrice good for 2-3 meals for 2 adults, marinated in italian dressing chicken breasts to grill, round one of eggs. 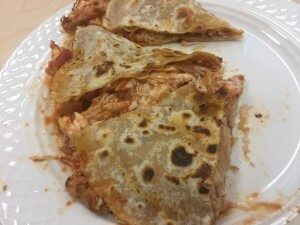 More reciepes at EatbyColor.com. 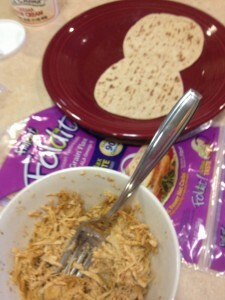 Want the cheesy chicken and rice recipe? Drop your addy in the comments. 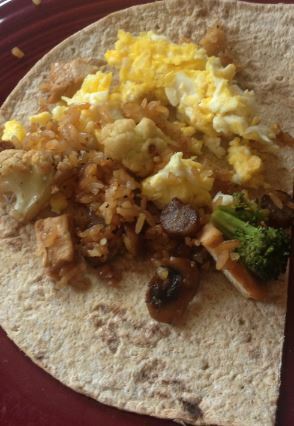 ‪#‎iifym‬ is no peob as you can adjust any or all ingredients. Of course ‪#‎eatbycolor‬ you have it easier as there is nothing to count. Cheesy Chicken and Rice Recipe, Eat by Color is one of our favorite recipes. 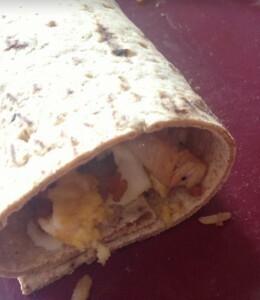 Place chicken in the bottom. If using the optional pepper and onion… top with diced onion and green pepper. Pour soup on top of vegetables and place lid on top of slow cooker. Note you can can use frozen chicken and many do BUT most food folks suggest using thawed chicken. So thaw your chicken or buy fresh. Cook on low for 5-6 hours or on high for 3-4 hours. When you get home form work or about 30 minutes before the chicken is done cook the rice. Follow the direction on the box. When chicken is finished cooking, shred the chicken using two forks and add in cheese, corn and rice. Mix and done. Crock pots make life easy. 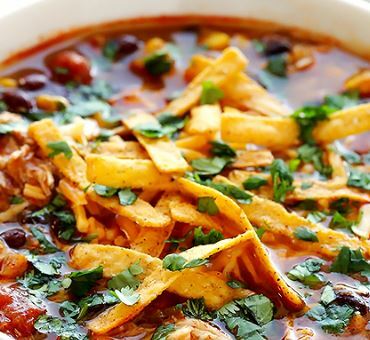 Stock up on the ingredients for your favorite crock pot foods. 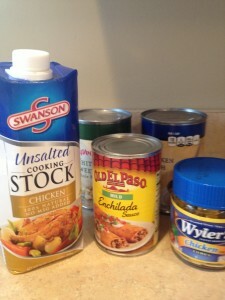 Don’t buy one box of rice buy a couple along with cans of soup and load the freezer with frozen chicken. Once again being prepared will go a long way to helping you reach your goals. Over 900 Videos on our Youtube Channel!!! Sometimes tacos get old and boring. 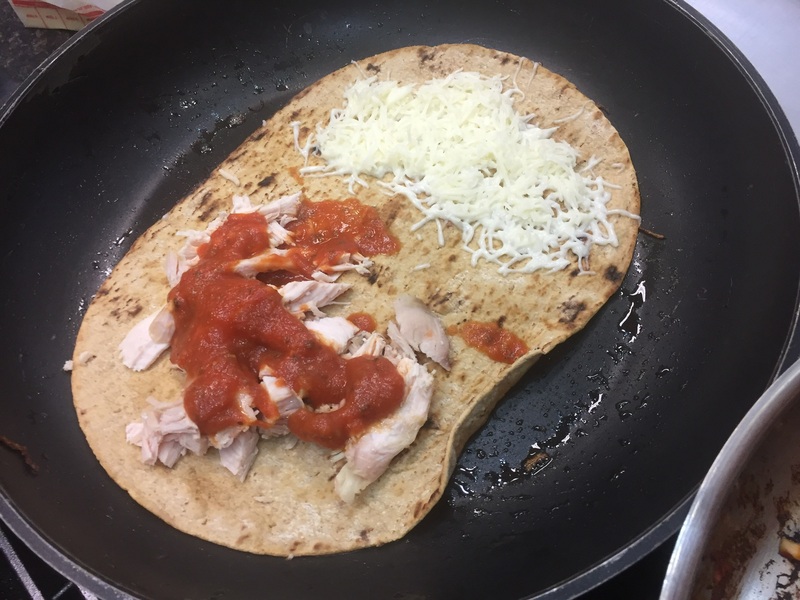 One way to spice that up tacos is to get creative. Thinking out side of the box why not mix ranch and taco seasoning? Here is a great way to to just that shredded chicken ranch tacos. 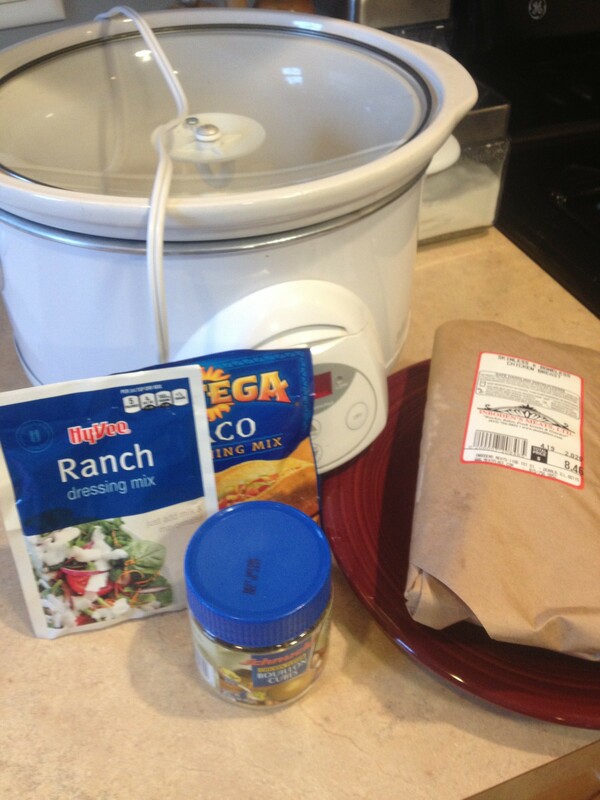 Plus since this is a crock pot meal it is one you can get started and come back in a few hours to a meal that is done and ready to eat. Wash and put the chicken in the crock pot. Dump the ranch and taco packets in. Drop one bouillon cube in. Add 1-1.5 cups of water. Cook on low for 5-6 hours or until done. When done the chicken will shred very easily. Shred with spatula and fork. Serve on your favorite taco shells. 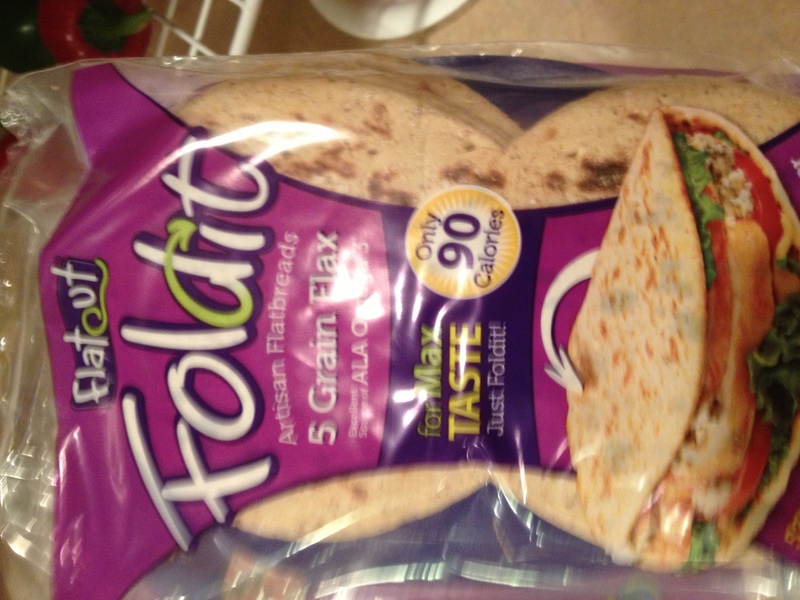 We like to use fold-its instead of tortillas. 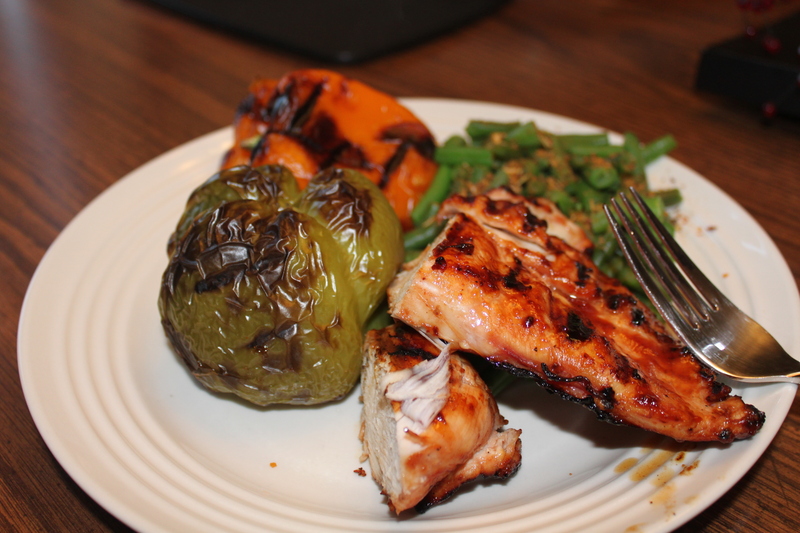 Un-boring Eat by Color Roasted Balsamic Honey Chicken. Once again a little creativity goes a long way to breaking up the same old same old with chicken. 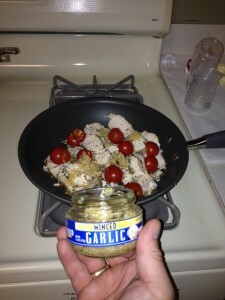 Check out the spice section or if local hit The Olive Oil Experience. The only limit to your options with chicken is your mind. 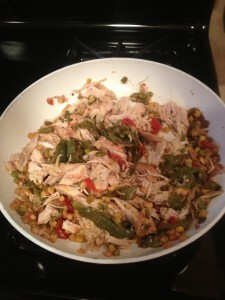 Low Carb Chicken Stir Fry of Sorts-Eat by Color Style! Quick and easy. 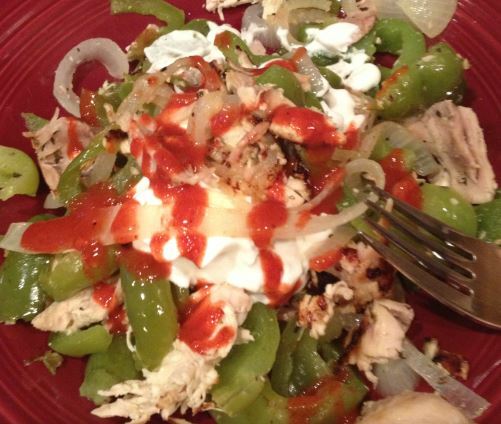 Peppers, chicken, onions, sour cream. Eat By Color Easy Chicken For The Week! Staying prepared equates to you staying on track! This is one of my absolute favorite meals. Easy to make and so versatile you can use it in a number of different ways all week long! Just eat it cold and your protein and veggie servings are covered! 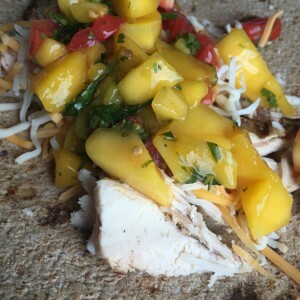 If you are doing once/week food prep, I suggest doubling the recipe. 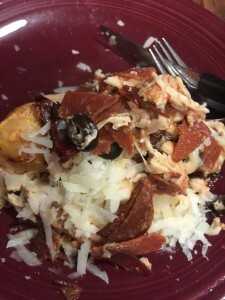 Because of the many meal options, this is also a wonderful dish to use at parties in place of the usual italian beef or pizza and so much better for everyone! 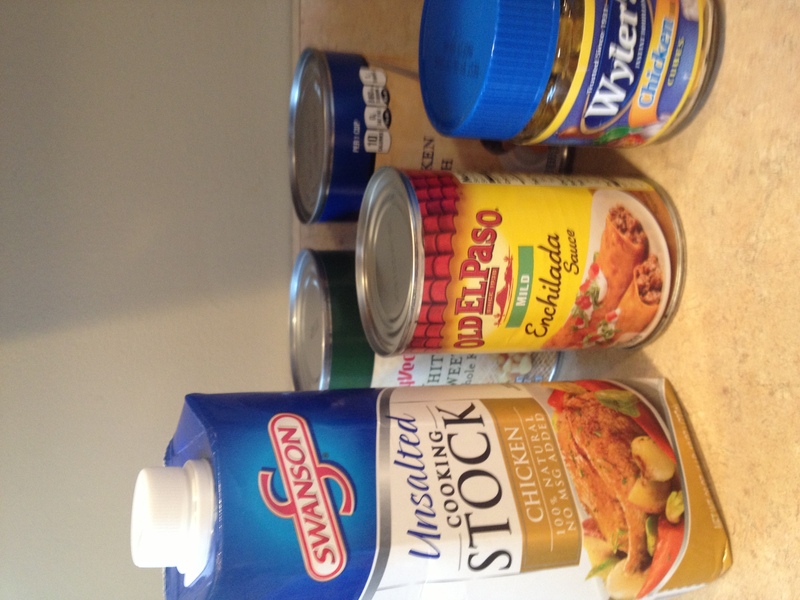 Salsa Chicken is easy to make; just put all the ingredients in a slow cooker and let the machine do the work. There are infinite variations, and your family is guaranteed to like each one. 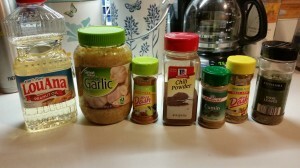 Makes 8 one-cup servings of chicken. 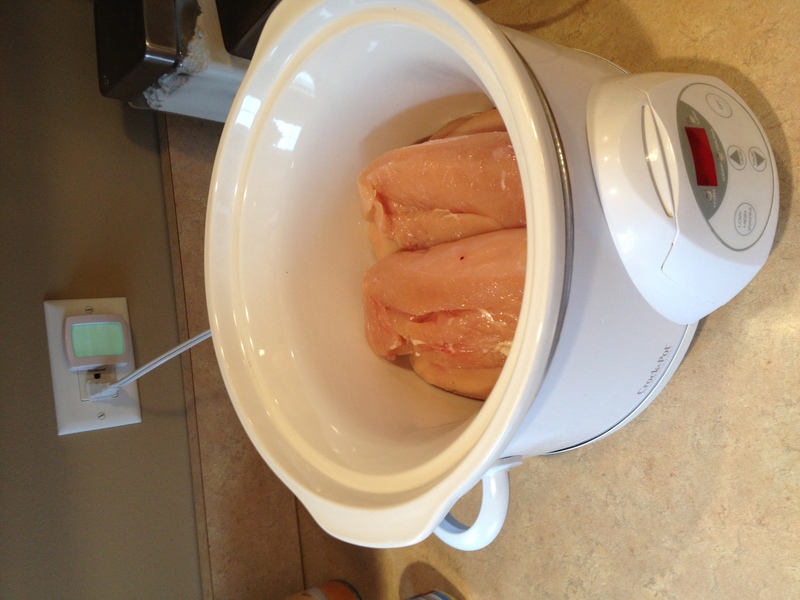 Place the chicken in a slow cooker. Sprinkle the taco seasoning over the meat then layer the vegetables and salsa on top. Pour a half cup water over the mixture, (do not us too much water! If chicken becomes too runny, place in a strainer for a bit) set on low and cook for 6-8 hours. The meat is cooked when it shreds or reaches an internal temperature of 165°F. 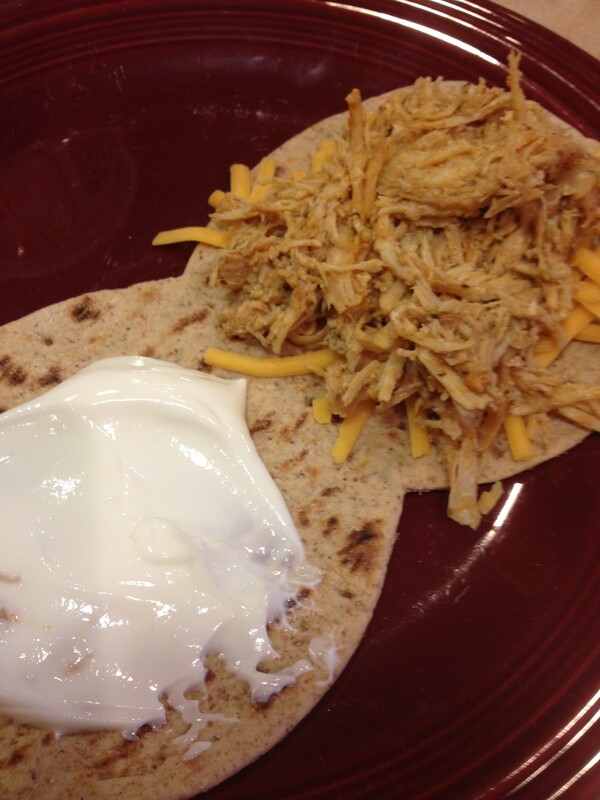 When ready to serve, break up the chicken with two forks then stir in the sour cream. This article is the courtesy of Raymond M. Binkowski former fat buy, author of “Eat by Color”, personal trainer and owner of FitWorkz. Its intent is to be shared. If sharing the previous following statement MUST be included any time this article is reproduced in part or entirety. Eating to Lose Weight in Minutes! Do you want to be successful at losing weight and getting in shape? Good news with a little help and info the steps are the same as they are to be good at anything. Set a goal, plan, prepare and execute your plan. That is all fine and dandy but you are busy like everyone else. Who has the time to set goals and make plans? 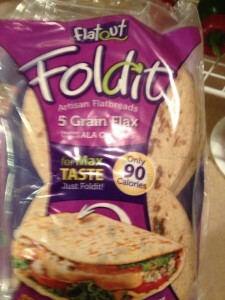 Here is a fast on the go recipe. 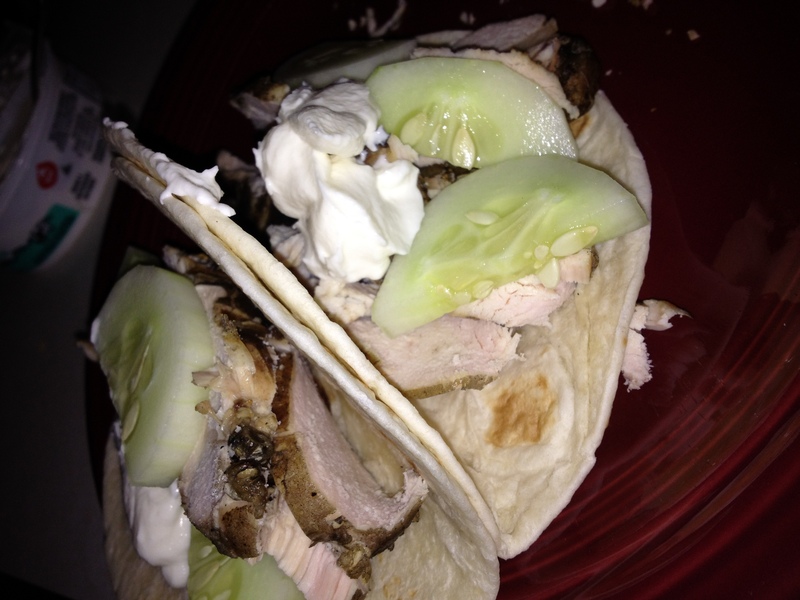 Put both on a tortilla and top with yogurt. ***Salsa would have been great on this, but we were out so I hit them with some hot sauce. A few months ago chicken was getting boring. Boring as in no interest to prepare or eat chicken at home. Funny but ordering chicken at a restaurant was not boring. Eat enough of the same foods often enough and this will happen. I used to think I was different and this did not apply to me. Then it happened with tuna and now chicken. To spice things up I started grilling a bunch of chicken, nothing new with the grilling chicken part. Then put it in the fridge overnight. 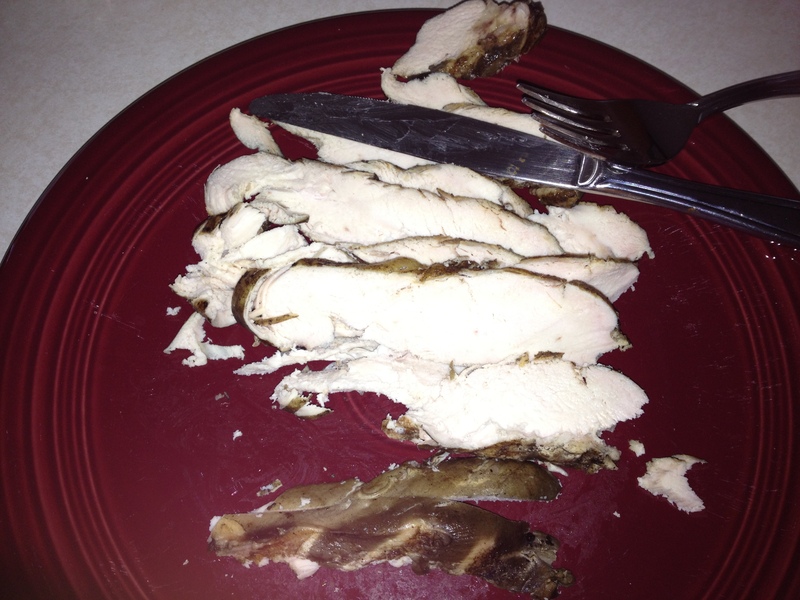 Next day for dinner I slice the chicken thin. Great on sandwiches (better than a high end deli meat…plus next time you are at the deli counter look at the chicken breast and wonder what type of chicken has a perfectly rectangular breast? 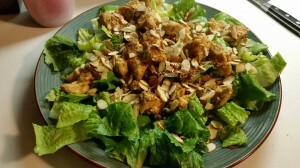 ), in salads, or sautéed in olive oil. Before we get into the food prep let’s talk leftovers. 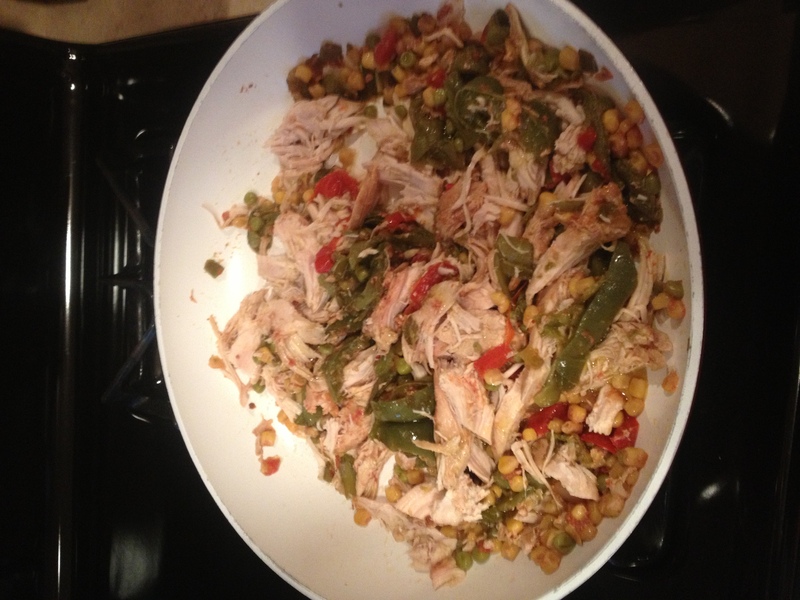 There are a few benefits to left overs that are easily overlooked. 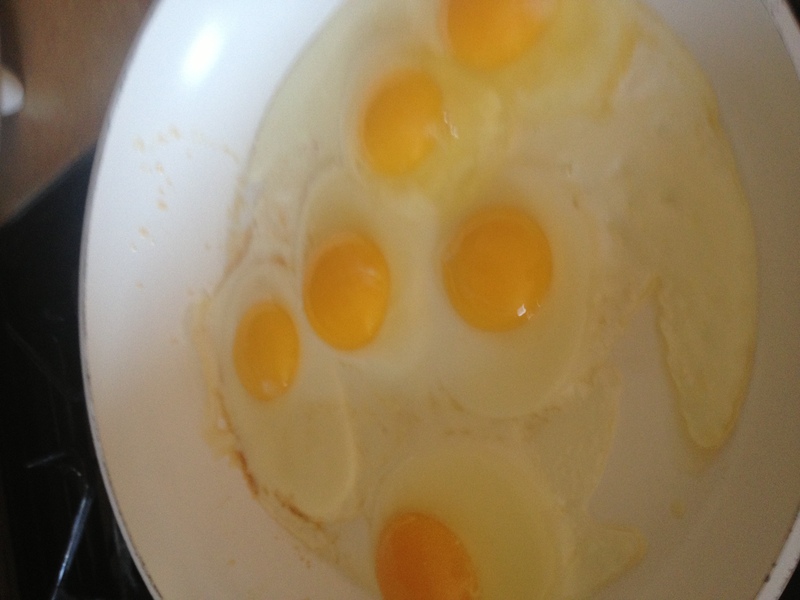 1) They are fast, you already cooked them. 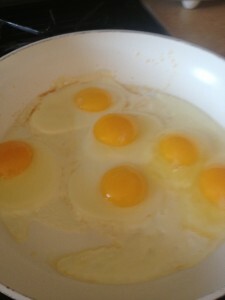 2) If you eat them you cut back on wasted food. 3) Cheaper than eating out. 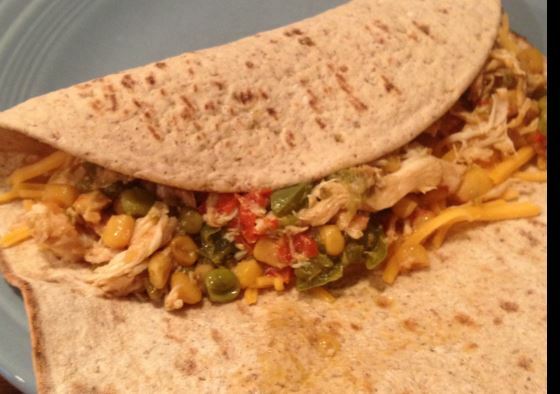 4) You can Lose Weight with Your Leftovers. 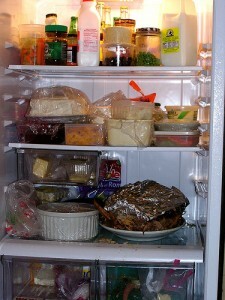 In summary, your left overs are fast, convenient, can save you money, and can help you lose weight. 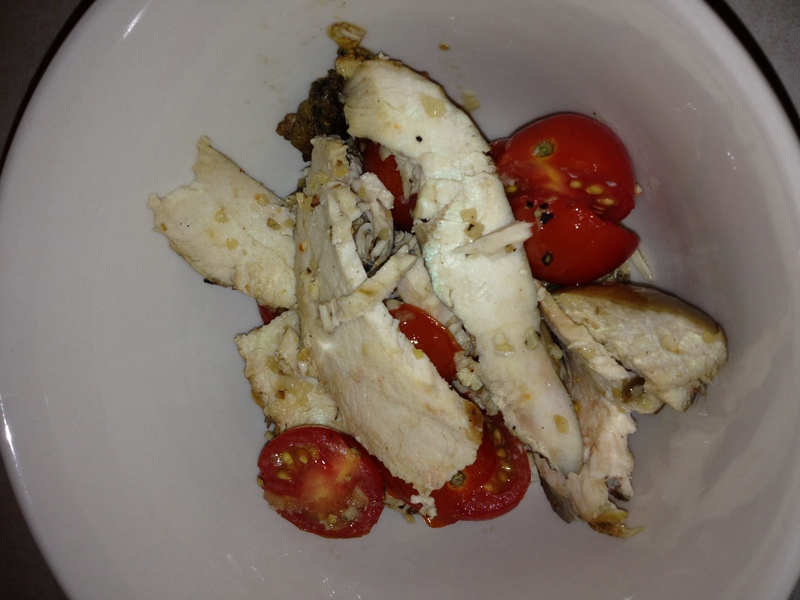 Chicken sautéed in olive oil. In minutes you are done. I made this for my wife and me last night after a long day. 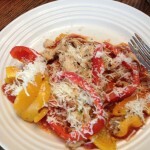 It was about 9 PM and I worked with what we had in the fridge and the garden. Start to dishes in the dish washer took less than 20 minutes. This would have been better with spinach, parmesan cheese, and some fresh mozzarella cheese. 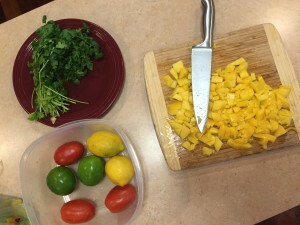 In my book “Eat by Color” Chapter 2, Food, What is it and are We What We Eat? We are what we eat. Maybe not literally, but food is 90% of our success. 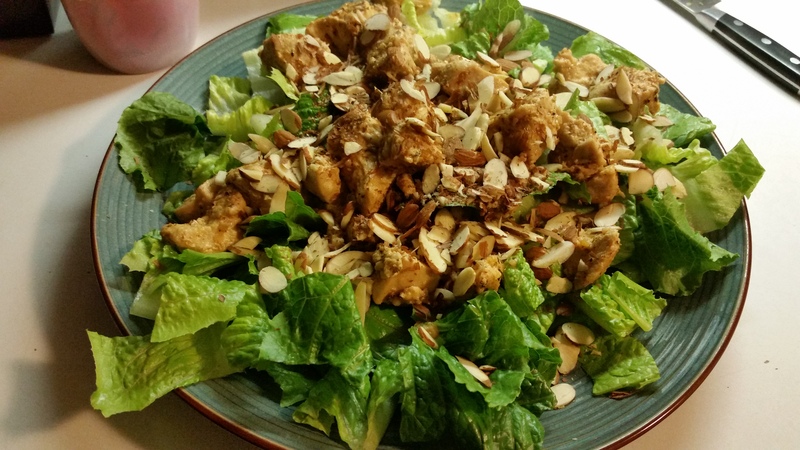 Get food right and you are on the home stretch. Know what to eat is the first thing that needs to be addressed. Next, how do we make the right foods easy to prep, make and eat even on the go? Plus if it goes old and boring you will quit eating it. I grill year round…it is always a great time to fire up the grill and cook outdoors. 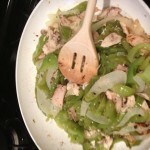 Look it can be boring and quickly lead to the ole “chicken again, ugh.” Chicken can be fast, easy and reused. 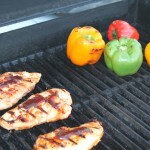 Grill a couple chicken breasts and maybe some peppers. 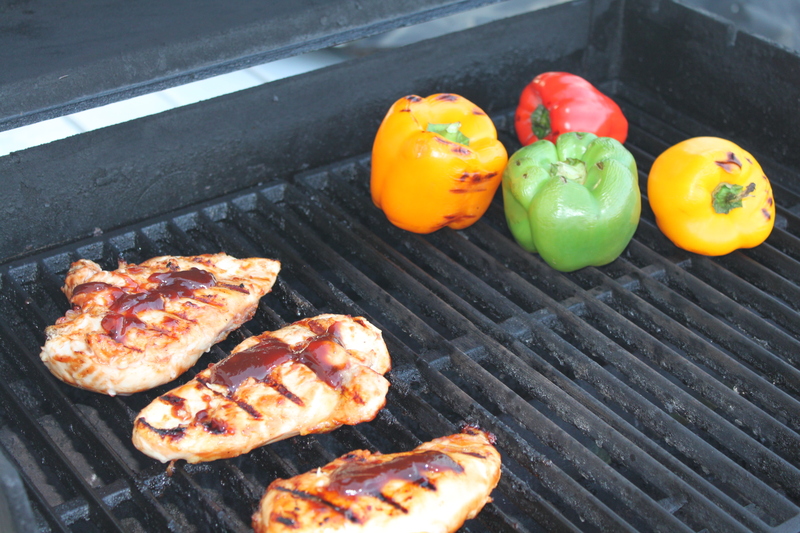 Go ahead and put the peppers right on the grill, wash em first. Covers meal for day one and then day two. 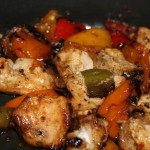 Chicken and peppers on the grill! Done! Note I steamed some green beans and they are on the plate too! Day three, reinvent the chicken. Slice the chicken, cold out of the fridge. 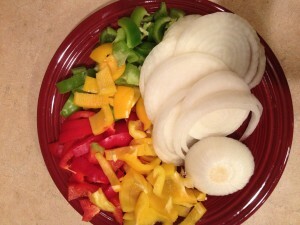 Slice and dice some onions and some of the peppers you did not cook on day one. 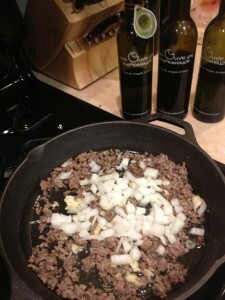 Put some olive oil in a frying pan. 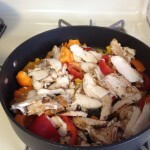 Add the vegetables and sliced chicken. 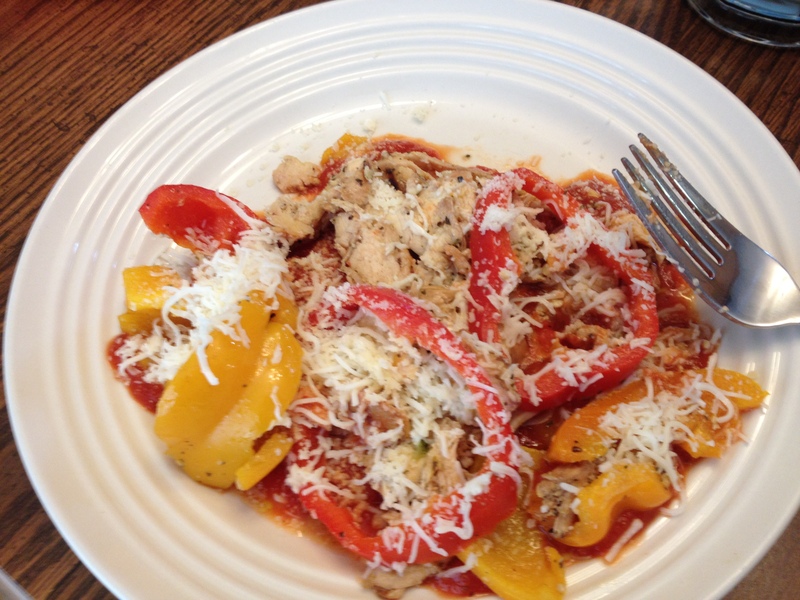 Sliced chicken, peppers, and spices. Get crazy with some parmesan or mozzarella. Using chef scissors, no idea what they are really called but the usually come with a knife set in a wooden block. 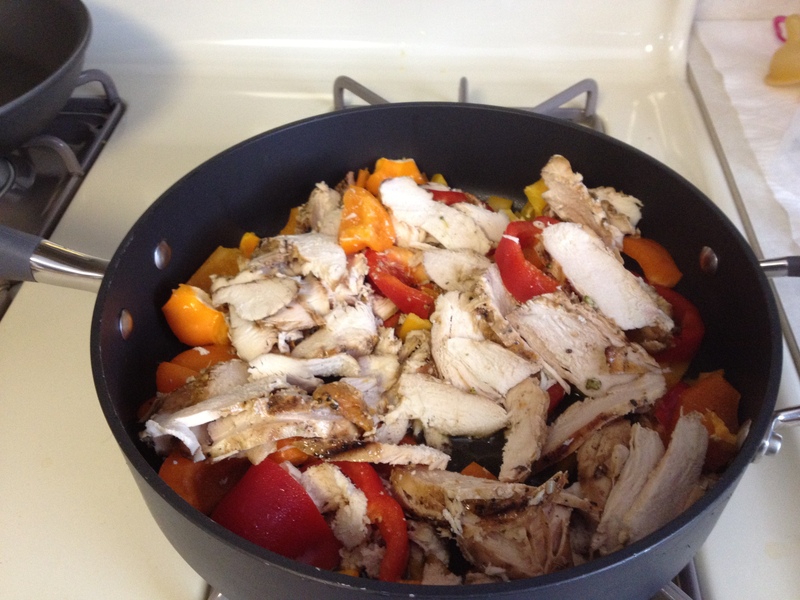 Cut and cube the chicken, peppers, and assorted vegetables you may use. 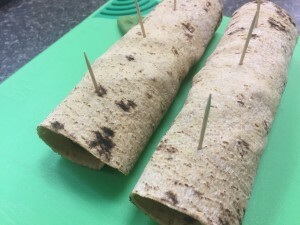 Get some bamboo skewers, my brother in law is Dennis Lil’ Drago of the original Chicago Dragobobs and he has made a million shish ka bobs and only uses the bamboo..why they don’t splinter or break! 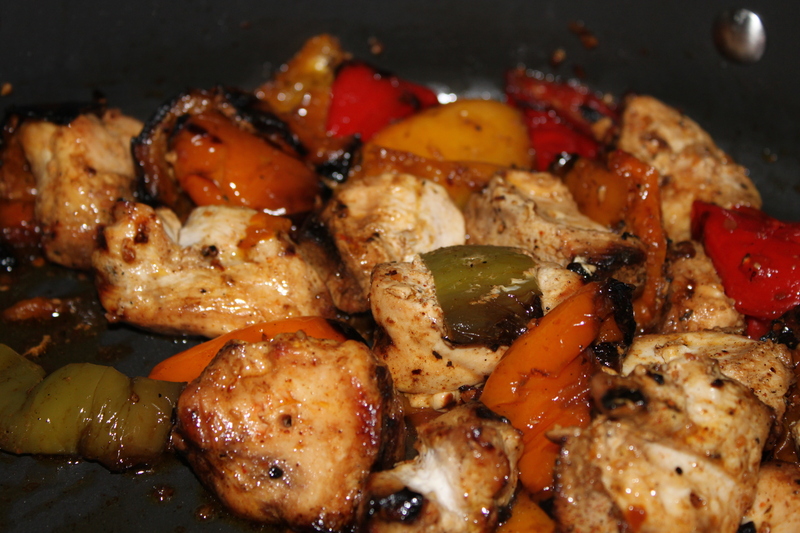 Skewer the chicken, peppers, and any other vegetables. Go chicken-vegetable back and forth. 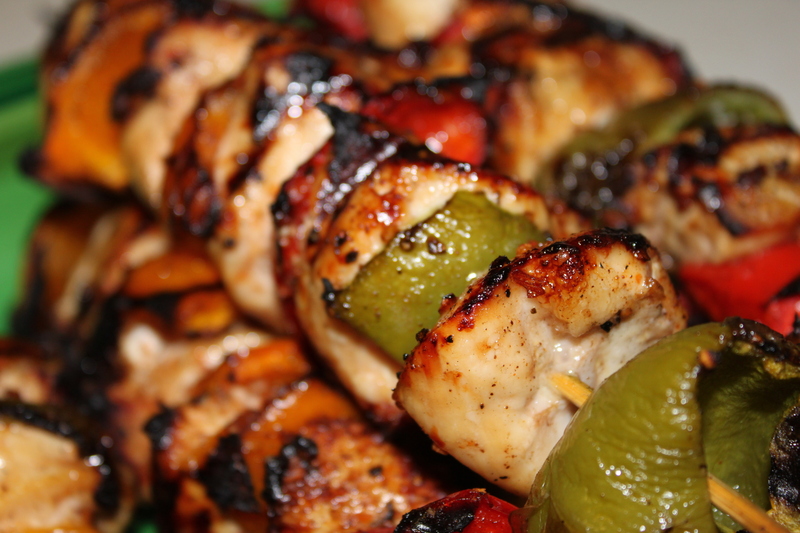 Skewer and put on the grill! 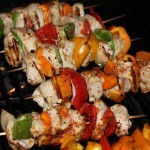 Put on the grill, drizzle some olive oil and Italian dressing over them and dust with your favorite spices. Done! Covers meal for day one and then day two. Ready to come off the grill! Day three. Grab your left overs, if there are any. 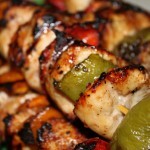 Strip the chicken and veggies off the skewers with a fork. Slice and dice some onions and some of the peppers you did not cook on day one. Put some olive oil in a frying pan. 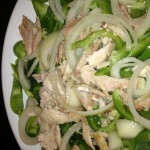 Add the vegetables and sliced chicken. Boom, done. Cook time is less than a half hour. 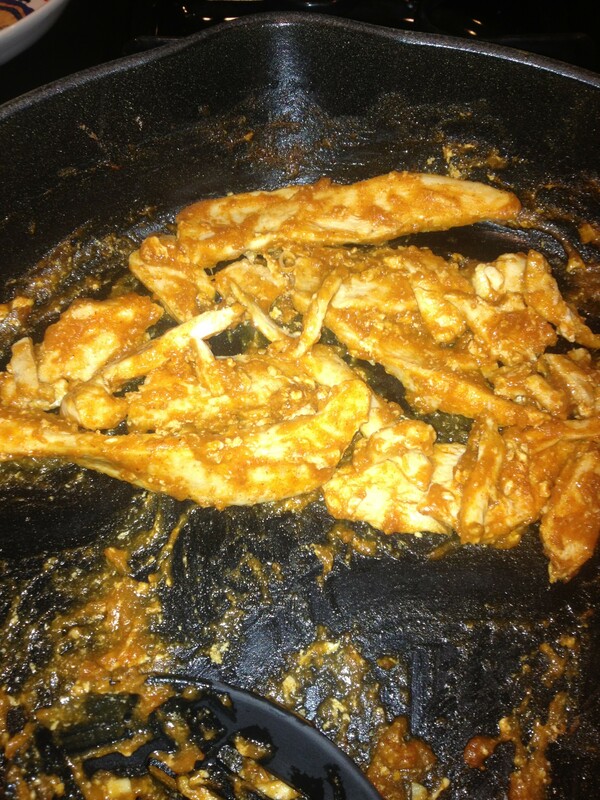 Plus when I did Remake I was also cooking 2 lbs. of venison chili (see the Eat by Color facebook page for pics of the venison chili) at the same time and boiled 2 dozen eggs. Food for my wife and I for the better part of a work week. That is it for now. 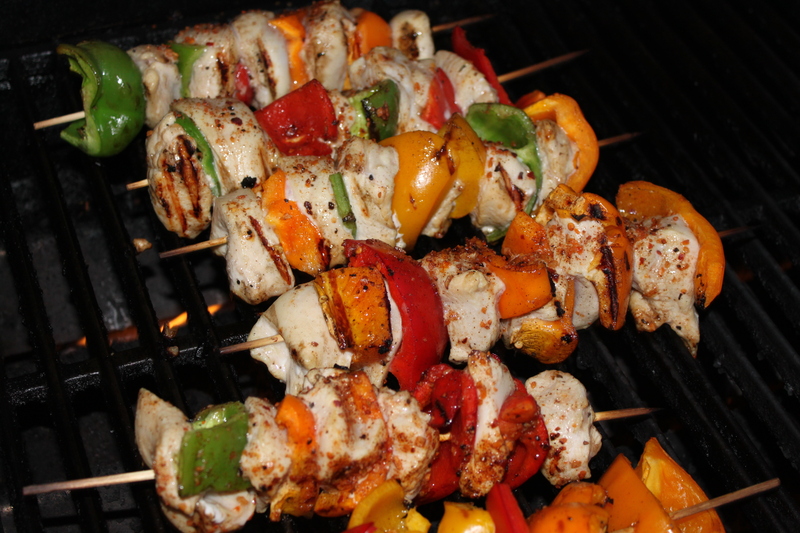 I have to skewer some of the original Dragobobs….then start my grill.